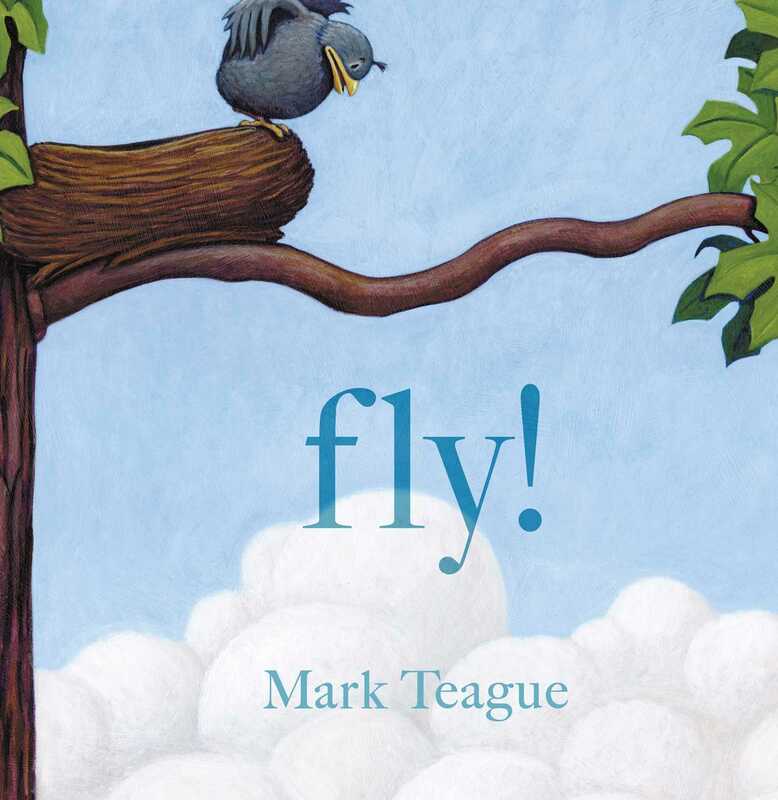 Mama bird thinks it’s time for Baby bird’s first flight, but Baby bird has other ideas in this humorous wordless picture book from New York Times bestselling author-illustrator Mark Teague. It’s a big day up in the tree that Mama bird shares with her baby. Mama bird thinks Baby bird is finally ready to leave the nest and learn to fly so he can migrate south with the rest of their flock. But Baby bird isn’t so sure. Can’t his mother keep bringing him worms in their nest? Can’t he migrate in a hot air balloon instead? Or perhaps a car? This silly wordless picture book will keep young readers giggling as Baby bird figures out that he must flap his wings and learn to fly—whether he likes it or not! Book Cover Image (jpg): Fly!